The launch of government’s Loan in 59 minutes program has been ceremoniously launched on pan-India level, with every public sector bank being pushed to popularize the program. It is an ambitious dream project of the ” current ” government to enable the micro and small enterprises (SME) to get adequate finance from the Public sector banks and this might be considered as a landmark in the history of SME development. The challenge of documentation : the everlasting list. 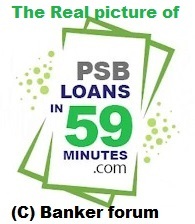 When you browse through the psbloansin59minutes website, you see a simple process of a loan application, that is supposed to be a simple upload of the documents by the person and whosh! It’s supposed to be done, just like that with such a simple click .But is really the picture what it seems to be ? The platform underestimates the complex algorithm of documents that different banks might require. If you have been to different banks then you must be aware of the different work cultures prevailing in different banks. There should have been a standardized set of documents specified for different loan applications. Is there adequate infrastructure available in remote areas to maintain all the documents? The biggest question that puts the whole digital India mission in conundrum is – do we have the adequate infrastructure and facilities available for the emerging enterprises? If you are acquainted with the dire situation in the remote areas, and outside the major urban centers, then you know the answer. Without adequate professional and infrastructural services, it is almost impossible for the struggling enterprises in the rural and non-urban areas of India to become eligible for such loans (atleast on papers). Thus, what is required is a simultaneous impetus for the introduction of infrastructure and modern accounting services in the remote areas as well. Putting big claims, with an additional clause of T&C , before the public as an advertisement is not new. So is the case with psbloansin59minutes. The loan in 59 minutes gives only an in-principle sanction to an applicant for the credit facilities requested. But one of the main conditions of such in-principle sanction provides that if the applicant is unable to adhere to the terms and conditions given in such sanction, the financing agency has every right to recall the sanction given. This is where the financing units (banks) seems to maintain their say. And this is where the whole uniqueness of the program goes away. Actually, we, as bankers, give our in-principle sanction to an application in the first 30 min of interview with the customer. So, dear friends, do not feel that it should be a new challenge for us. Giving in-principle sanction does not mean you have to disburse the loan compulsorily. There are other operational loopholes that would help you to stop any proposals that might appear to be unviable at a later stage. So, don’t be afraid dear bankers. Since we have no other option but to take part in the implementation of the program, let’s do what we are supposed to do.